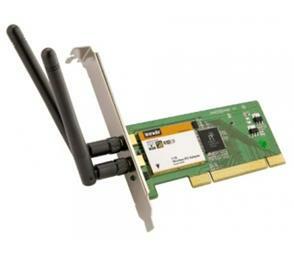 The W54P/W54P+ is an IEEE 802.11g compliant PCI adapter providing a wireless transmission rate up to 54Mbps. In addition, the W54P/W54P+ can be used as a Soft AP to create a quick wireless LAN network. The detachable antenna design for the W54P+ version makes it possible to replace the original antenna and upgrade for improved range. The W54P/W54P+ is a simple but effective solution to connect your desktop to wireless internet access.